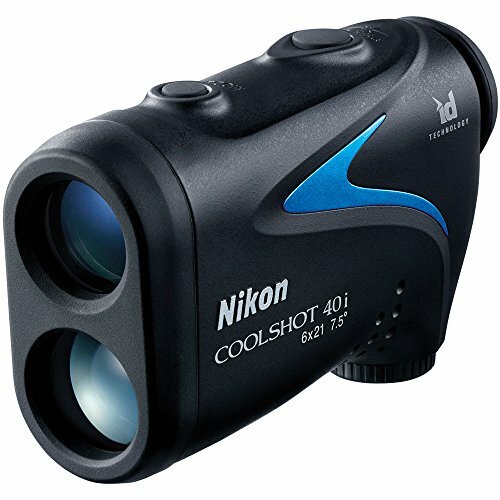 The COOLSHOT 40i is the most powerful golf laser rangefinder in the Nikon Golf product line. With several modes to choose from, a golfer will never feel lost during a round. With the COOLSHOT 40i, finding a measurement through trees has never been easier with Distant Target Priority mode. With one hit of the mode button, this can be switched to First Target Priority mode, which picks up the closest object in a group of targets. What really sets this rangefinder apart is the golf mode. In golf mode, the COOLSHOT 40i will use the ID (incline/decline) technology to give a slope-adjusted yardage. This measurement is extremely helpful in club selection on a course with elevation changes. See what lies ahead, behind, above or below with amazing sharpness and clarity with the integral 6-power monocular featuring legendary Nikon optics.